Please consider the argument for Hawaiian self-government. Hawai'i's ruled from east coast USA, 5000 miles (8000km) away. I support Native Hawaiian sovereignty, and have much sympathy for Hawaiian Kingdom activists and the sovereignty asserted & protected by a treasured minority over many decades. But since the 1893 illegal overthrow of Queen Lili'uokalani, it's been 123 years. We've not achieved operational Hawaiian self-government. Controlling a cul-de-sac or a few hamlets is insufficient. 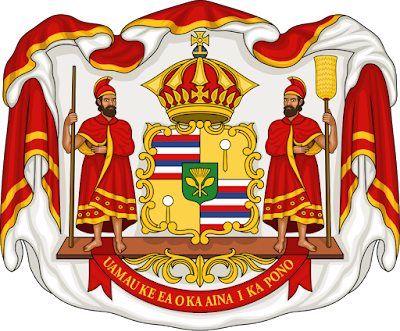 If Native Hawaiians ratify our Kumu Kānāwai (proposed constitution), we then start to form a government. We must expect resistance. Some people probably fear this stage because we're open to infiltration, and entrenched interests will surely seek advantages. We don't wish to trade one set of captors for another. But when the alternative plan is decades more abuse & diminishment from far & near with minimal response, or begrudging Aloha, I'm ready to forge forward now.